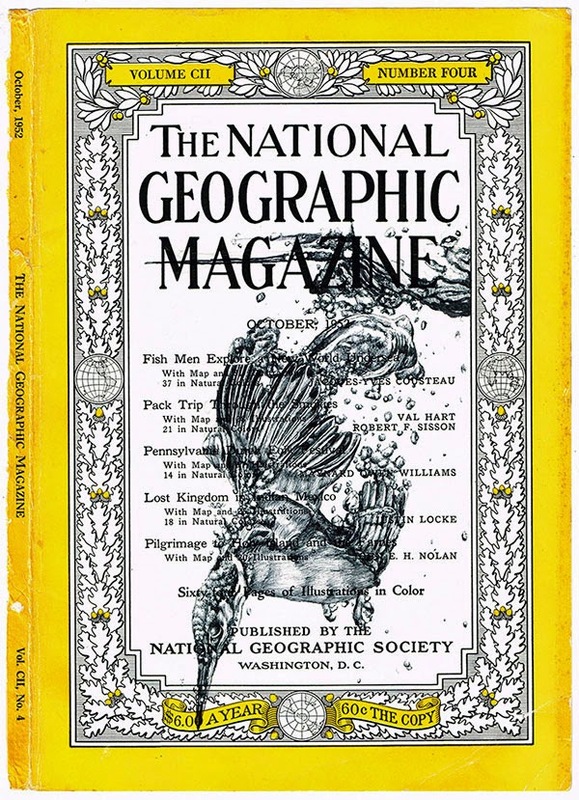 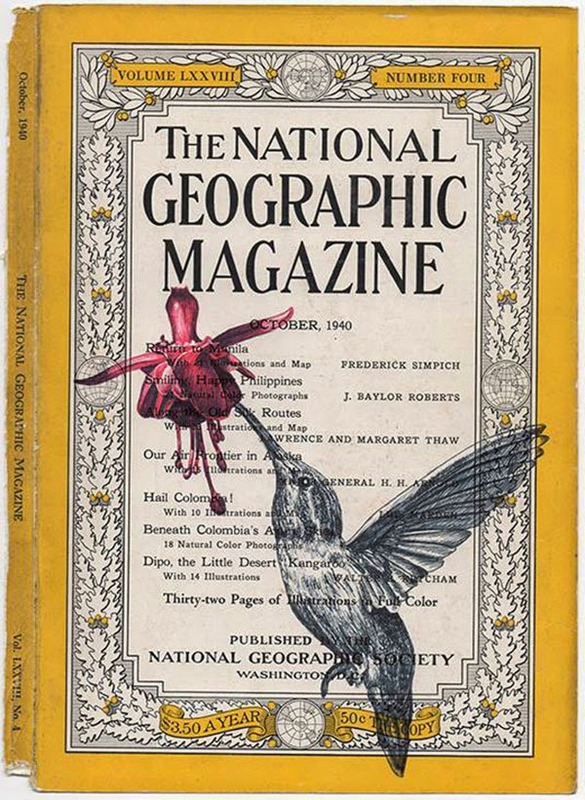 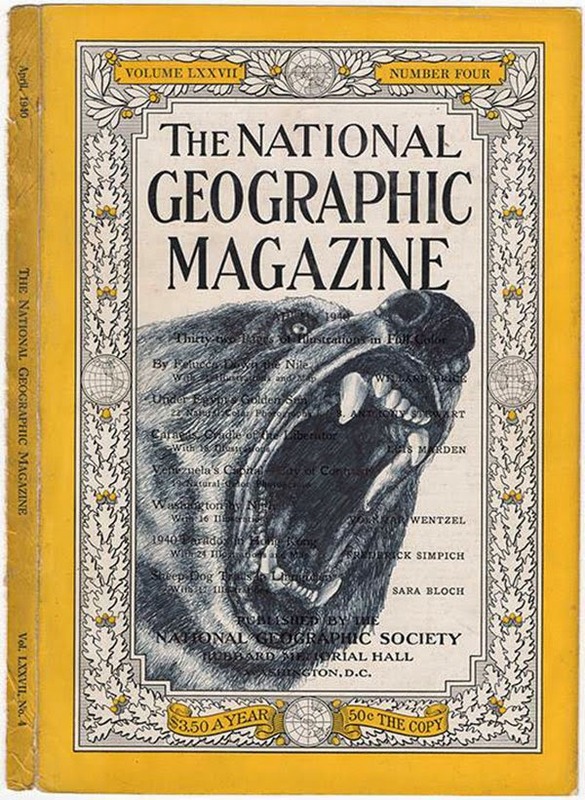 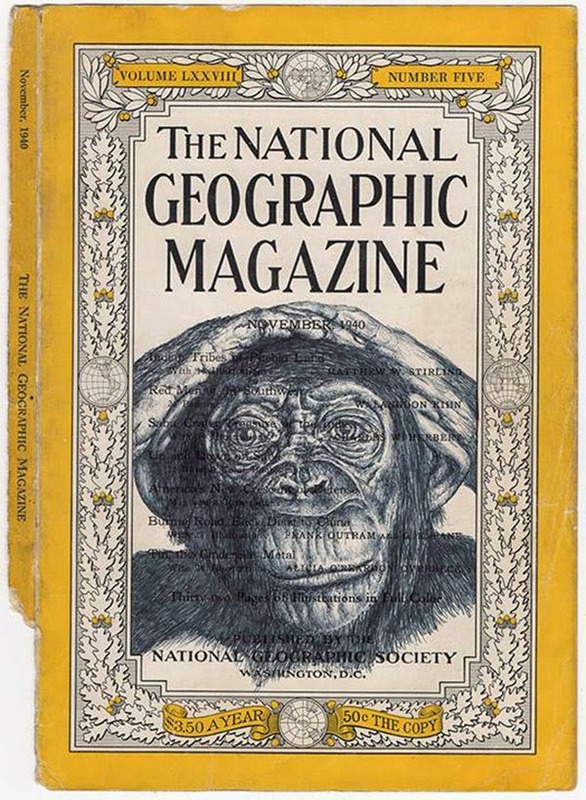 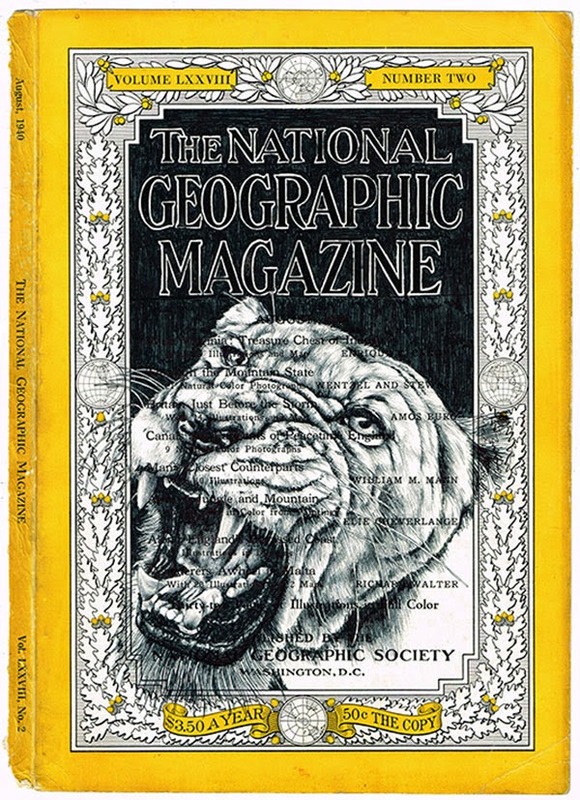 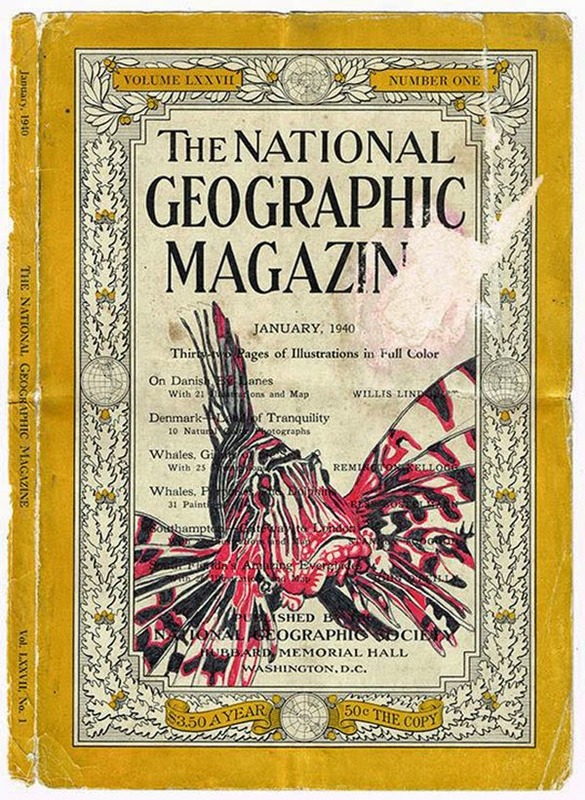 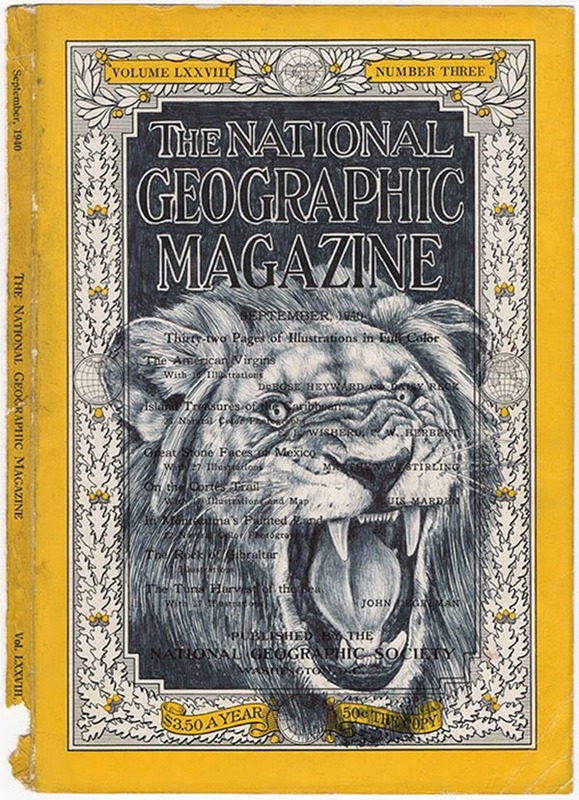 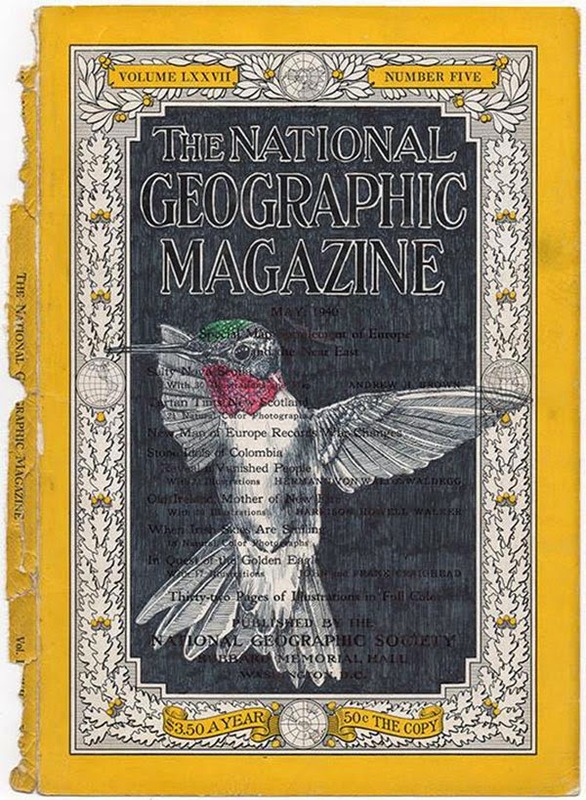 Recent Bic Biro drawings on antique National Geographic magazine covers by London-based illustrator Mark Powell. 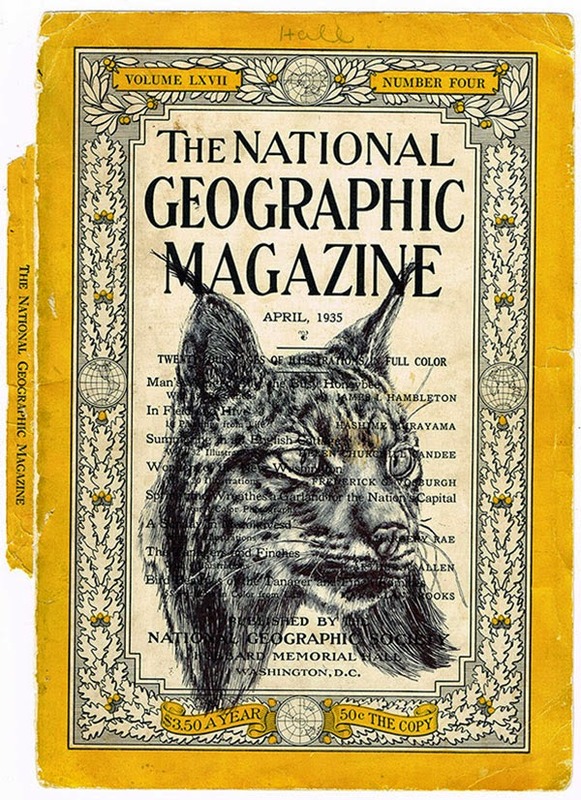 Mark reuses vintage material such as envelopes, maps, magazines, and newspapers as his canvas which not only preserves a bit of history but also adds another layer for the viewer to look at. 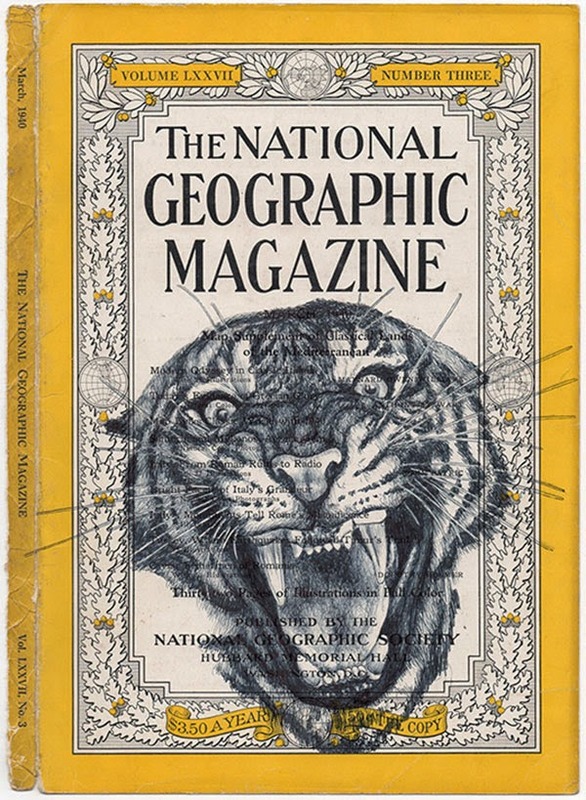 You can see more of Mark's work on Behance.